We are open to the public for events designed specifically for our beer and wine garden. Our special events like Craft Beer & Cava tastings and our Live Music Series allow the public access to the historic farmhouse estate during the evenings. The large garden is a gathering place to enjoy a cocktail, craft beer or wine pairing with our food offerings, which include charcuterie, pretzels, pizza, meatballs, hot dogs and other small bites. On occasion, we have food trucks and/or catered events. Check our calendar of events for upcoming event information. In 1890, two prominent families came together when William J. Ranson and Ellen Hunter Ranson married. Both the Ransons and the Hunters, for whom Huntersville is named, were well-known farming families active in their church and within the community. The Colonial Revival Style farmhouse, tastefully enhanced with a wrap-around veranda, porch pediments and classical columns was completed in 1913. 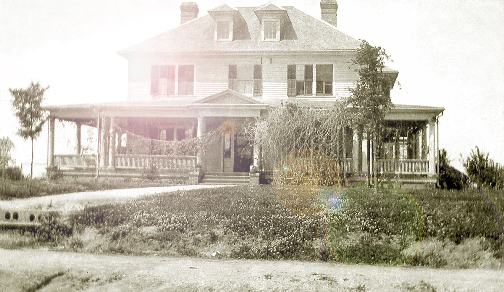 The Ranson House was the first home in Huntersville with indoor plumbing, electricity and a telephone. W.J. and Ellen raised their ten children in the home, which became a gathering place for all. 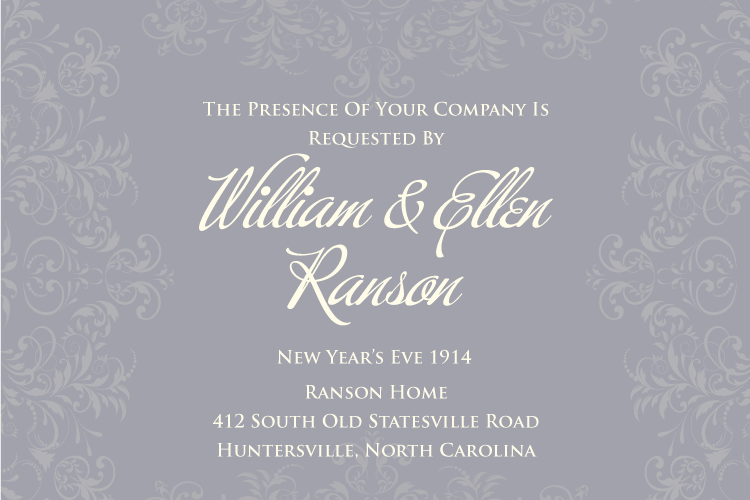 In 1914, Ellen Hunter Ranson began a time-honored tradition gathering her friends and family for a grand New Year’s Eve party in their new farmhouse set on their 3200-acre dairy farm in what would soon be known as “Huntersville.” A gracious hostess, with a talent for entertaining everyone from the community, Ellen turned her home into a cornerstone of the Huntersville landscape. 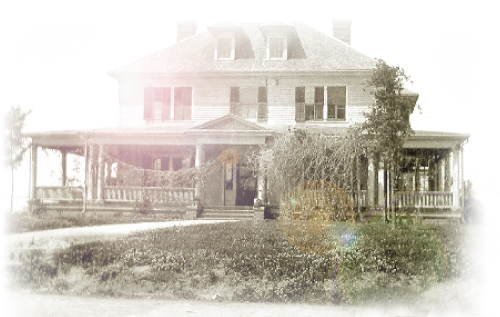 Today we invite you to celebrate all the grand occasions in your life just like the Ranson’s of yesteryear, and enjoy the splendor of the land that is still part of the farmhouse estate. After purchasing the house in 2006 the Raines undertook a massive restoration process. A lightening fire in 2005 caused extensive damage down one side of the house. The beautiful wraparound veranda had to be completely taken apart and put back together. 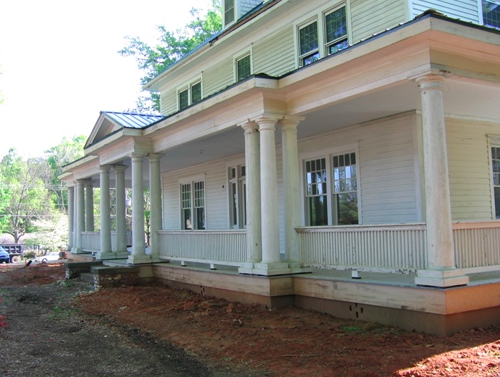 Of the 18 columns around the porch, 17 were saved along with most of the original railings. Other porches on the side and back of the house also underwent a complete renovation. During their renovation, they updated all of the plumbing and electrical. Heat and air were added. The original windows and doors were repaired with most original hardware preserved. 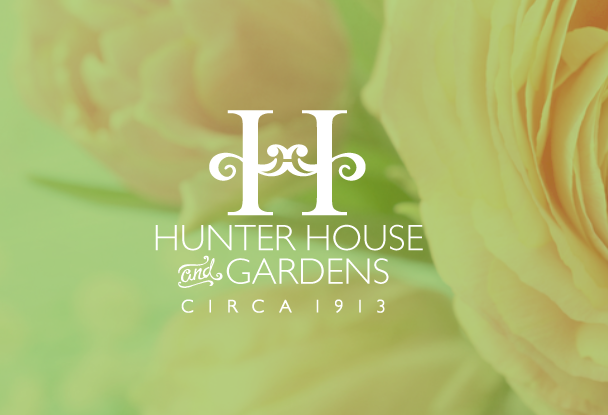 After the purchase of the Ranson House in December 2017, the new owners and event team went to work creating a magical and elegant new theme inside of the historic home that is now known as Hunter House and Gardens. The new vision included plans for The Gardens creating a romantic and private venue outside of the home. The gardens will be the focal point for events offering a wide array of event layout possibilities as well as providing many stunning photo opportunities with its lush floral landscaping. The Gardens will feature a large outdoor pavilion perfect for hosting an event with seating up to 150 guests. The Gardens completion is scheduled for Summer 2018 and the Pavilion has a planned opening of Fall 2018. We are delighted to share with you the new vision and walk you through your event possibilities. Private showings are available by appointment only. Please contact us, we would love to show you the home and share our garden plans. Alternatively, you can attend one of our events in the garden and tour the home on most Thursday, Friday and Saturday evenings. 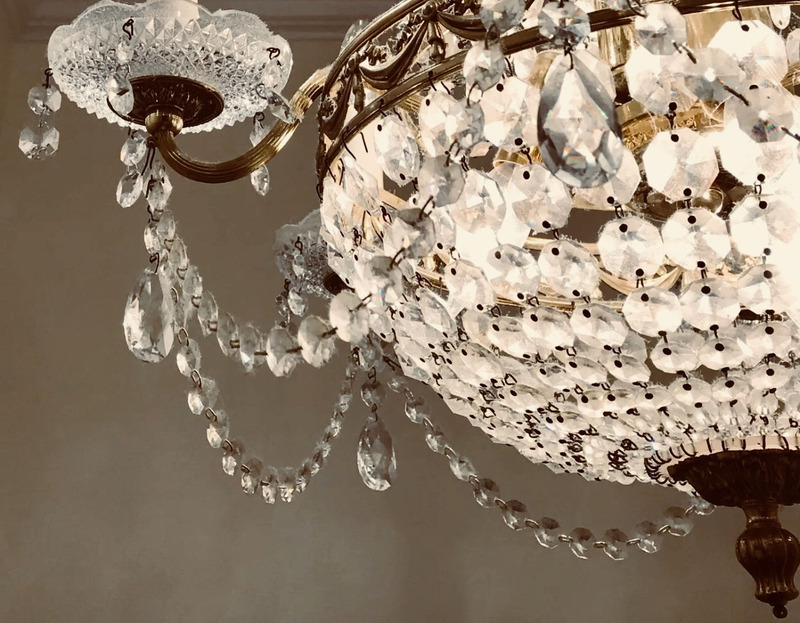 Our special events like Craft Beer & Cava tastings and our live music series allow the public access to the historic farmhouse estate during the evenings when the home would be otherwsie closed. Check our calendar of events for event information. Select Events will be going on throughout 2018. Please view our event calender for more information.